Born and raised in Charleston, South Carolina, Kristin’s family made the move to the greater Indianapolis area shortly before high school began. As a Noblesville High School graduate, Kristin went on to obtain her Bachelor’s Degree in Tourism, Conventions, and Event Management from Indiana University and has resided on the north side of Indianapolis in the Geist area ever since. Married for nearly nine years, and a mom to three boys (7-year-old twins and a 4 year-old), Kristin enjoys exploring local parks, volunteering at her sons’ school, and spending evenings in downtown Indianapolis. 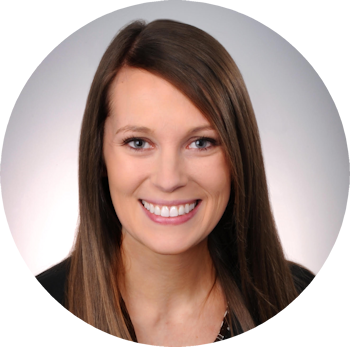 Prior to beginning her career in real estate, Kristin spent four years in the non-profit sector employed with the YMCA of Greater Indianapolis. Kristin enjoys building relationships, working to create a vision to ensure that your next home is a perfect fit, and providing an exceptional level of service. To speak with Kristin and experience The Anthony Team Advantage today, contact her directly at 317.900.9908.